Phoenix Park, Furze Road, Dublin, D08 KDC4. Join us for our 10th Anniversary of MoRunning and be part of this amazing year. Entries will open early summer so join our holding list and be the first to receive our invitation to enter at earlybird rates! 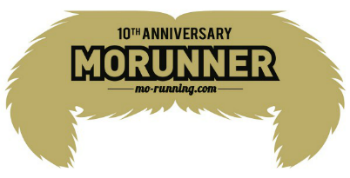 MoRunning is back this November and without a doubt it will be an epic year to be a MoRunner, celebrating our 10 year anniversary with us. With an incredible 24 locations and the inclusion of the 1.5km Mini MoRun we expect to see loads more MoBro's and MoSista's, as well as kids and families enjoying everything MoRunning is about! Good fun, lots of laughs, loads of smiles, high fives and not forgetting the fancy dress and funny moustaches! Make sure you secure your entry for you, your friends and your family as soon as possible when entries open early Summer, as places are limited and we don't want you to miss out. To you the MoRunner, we will be there to support you, laugh with you, cheer you on, encourage and motivate you throughout your MoRunning journey. Read on to check out what you receive as a MoRunner, the reasons to take part and how much fun MoRunning is! Brand new exclusive MoRunning Medal to add to your collection! * It is the responsibility of parents to ensure children are able to run the Mini MoRun unaccompanied. If required one parent can run with Mini MoRunners free of charge. MoRunning proudly supports The Movember Foundation - the only charity tackling men’s health on a global scale, year round. We have one goal: to stop men dying too young. Your donation will help us to continue what we’ve started and fund world class programmes that are saving and improving the lives of men. Thank you – together we are changing the face of men's health. The Movember Foundation raises funds & awareness for prostate cancer, testicular cancer, mental health and suicide prevention. When registering you can help support the charity by making a donation or please set up a fundraising page once you complete your entry. Thank you. Grow it, flow it and sculpt the most aerodynamic mo you can, and get limber in some 70’s funky track threads. Mo Sista’s (ladies who support their men, or just love Mo’s) we need you too! You can draw on a Mo if you like, or just get suited up in some fancy dress and jog it out to change the face of men’s health. We look forward to seeing you for lots of fun and laughs along the way, and remember there will be prizes for craziest costume, fastest Mo, and more! The postcode is D08 KDC4 - Phoenix Park, Furze Road, Dublin. Please note parking will be limited within the park and make sure you check all options to ensure you arrive with plenty of time to spare. There is parking available within Phoenix Park but please note you cannot park past the Phoenix Monument or Mountjoy Cross as within this space is our run route. Make sure you arrive with plenty of time to park and walk down to the event hub. Registration will be open from 8.15am and will close at 9.45am so please arrive nice and early. All Mini MoRunners must be back across the finish line by 9.50am ahead of the 5k event at 10am and the 10k event at 10.10am. It is very important we run to time so please ensure you arrive nice and early to collect your race pack. Make sure you either print off your race number confirmation or have this to display on your mobile device when you arrive at registration. There will be different sections for collecting 5k and 10k and Mini MoRun race packs. At registration you will receive your race number and chip, safety pins and dedicated headband. Registration will be set by race number so please make sure you queue in the correct section. You will be using our Chip on Bib race numbers and it is important these are displayed on your outer garment to ensure 1) We can see your race number when running 2) To help with the timing system to read your time and 3) To help our photographers identify you! Will be located in our event hub. This is located next to our registration tents. Please note space is extremely limited so travel as lightly as possible. Bag storgae is under gazebos which are manned. However, we do not recommend brining anything of great value to the event. We will have some funky tunes played and we will have a fun warm. The fancy dress competition will take place for the adults at 930am once the Mini MoRun is underway. If you want to be in the Fancy dress showdown make sure you line up between the fancy dress flags by 930am latest. There will also be spot prizes for best dressed Mini MoRunners when they cross the finish line. Please note for the 5k and 10k MoRun placings are based on Gun time. So if you are in it to win it aim to get to the front for the start. Gun time is from when the race starts i.e. 10am. You will receive both your gun time and net time - your net time is your actual 10k time from when you cross the starting mats to when you cross the finish line. Please take care when running around the course as this is public land and local residents will be out and about. Please always stay on the left unless otherwise guided. There will be marshals around the course to support and encourage you. Everyone will receive a very cool MoRunning medal and there are also a few special Mo Medals that are up for grabs! And some great prizes as well for best dressed, fastest Mo and many more. You will be able to check out your instant race results and these also go live to our website and will show within your profile page as well. Yazoo drinks are available for the Mini MoRunners and Volvic water available for the 5k and 10k runners. Sweets will also be available at the finish line. We are proud to support Men's Health, Movember and related charities. Through your participation we are able to raise awareness and fundraising for these incredible causes, so a huge thank you goes out to you! Have any questions or queries about the event? We've got the answers here, from race packs, entering a team and registration, it's covered. You are able to view all previous event results on the following page. Sign up here to go on our holding list and be the first to know when earlybird entries are open. Entries close on the 18th November, 2019. Event prices exclude 10% booking fee. Available to buy during checkout. 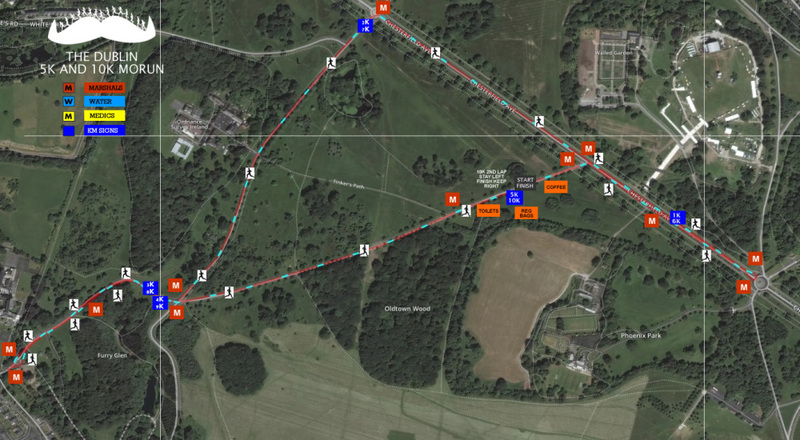 Get ready Dublin to MoRun around the stunning Phoenix Park! The run route is essentially road running - undulating - dog friendly - ok for buggy running - suitable for wheelchairs. When coming down the stretch to the finish 5k runners stay right to finish and 10k runners stay left to complete their second lap. The 5k is one lap and the 10k is two laps. "; var p1 = document.createElement("div"); p1.innerHTML = response.fundraisingTxt; p1.innerHTML += "
Total Raised: £" + response.totalRaised + "